Join the discussion of Criminal Justice Reform. 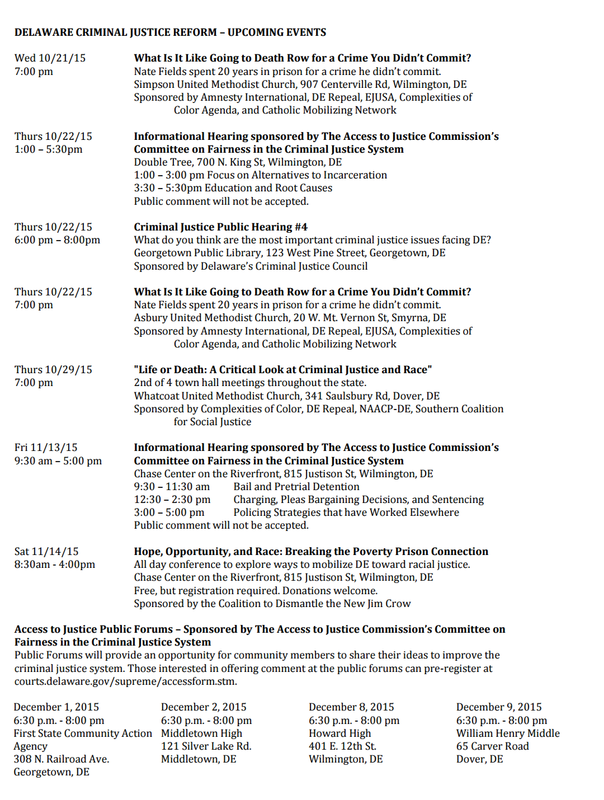 Come to one, two, or all of the following events and learn more about Criminal Justice. Raise your voice in support of death penalty repeal. Other events will be posted as they are scheduled.